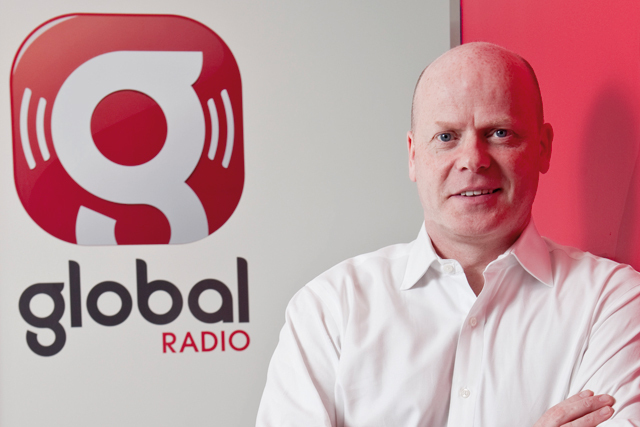 Global Radio, owner of the Heart network and the national commercial station Classic FM, has restructured its sales team, placing a member of the commercial strategy team in each of the media agency hubs. The client strategy team, led by commercial strategy director Stuart Mays, previously sat separately from the agency sales team, which is organised into hubs in line with the large media buying groups. In the new integrated sales team of 66 people, each agency team will be led by an account director alongside a client strategist. The other salespeople will be divided into reactive and proactive roles in order to service clients more efficiently. Mike Gordon, commercial director of Global Radio, said: "We are now increasingly pitching for business which is cross-platform and extends beyond our core radio business, working directly with clients as well as planning and creative agencies. "We are creating a hub structure which brings together disciplines. The team will be split between people with skills in working and developing solutions and people dealing reactively with briefs that come in." Gordon said the 17-strong digital team will continue to be separate from the agency hubs, but each hub will be allocated a member of the interactive team to help with cross-media briefs. Global Radio's 10-strong strategic partnerships team, known as the sponsorship team until two years ago when it was rebranded to reflect its expanding function, will continue to be led by Mandy Fowler as a separate division of the sales team. There are no departures as a result of the restructure. In September Global Radio appointed Giles Darby, Absolute Radio's ad director, to lead a 20-person business hub responsible for driving revenue across the Global portfolio. In the new role Darby represents all the Global Radio brands and is responsible for driving revenue through sponsorships, promotions, digital media, events and CRM. He reports to sales director Ed Chalmers.